These are the words of war journalist Martha Gellhorn who visited Virgin Gorda in 1942 as part of a Caribbean tour to assess World War II’s impact on the region. She observed that on this peaceful isle even the concept of war seemed unreal. Gellhorn spent an afternoon at the Baths and wrote about it in her memoir, Travels With Myself and Another. 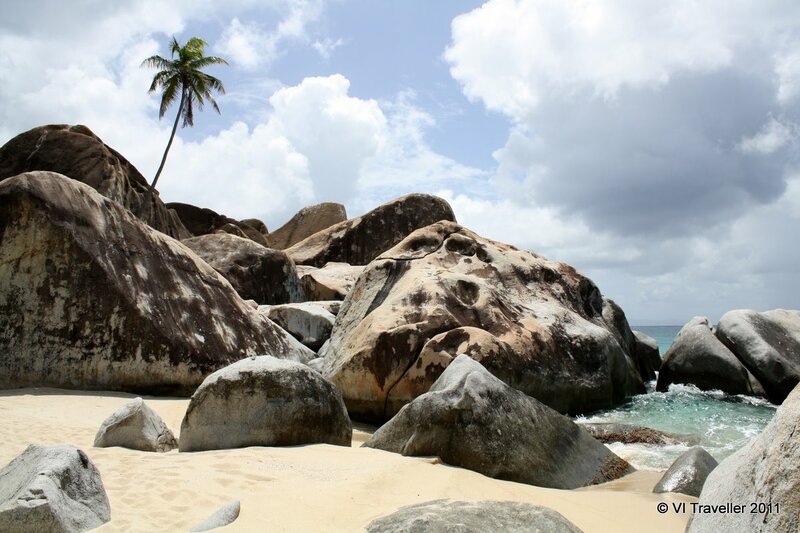 We have other wars on our minds today but the Baths on Virgin Gorda still serve as place of escape. Giant boulders arranged by geologic upheaval eons ago create a scene that is both playful and spectacularly beautiful. The sound of waves, rustle of seagrape leaves, and brush of a gentle breeze: this is the sort of place that reminds me what a gift it is to be alive. It’s also a neat place to consider geology. 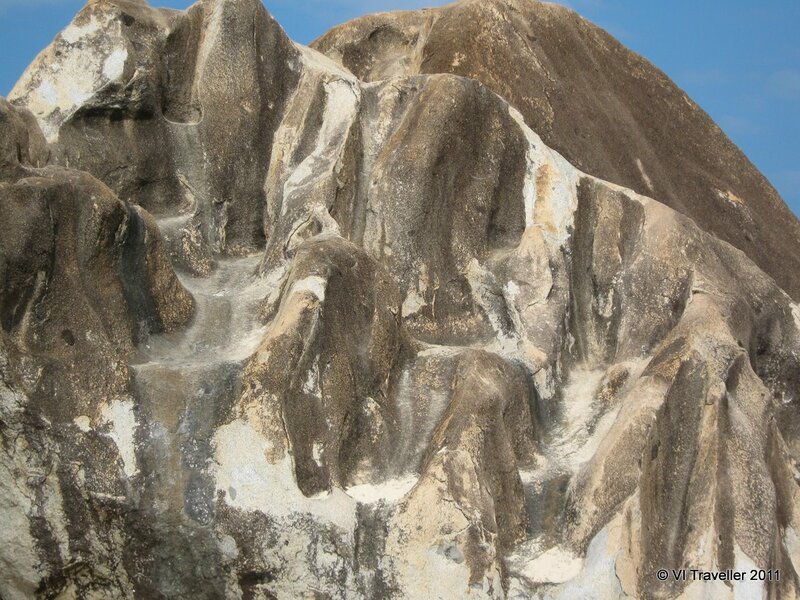 The boulders on Virgin Gorda came about because during the Tertiary period of geologic history (about 70 million years ago) molten rock seeped through the floor of the young Caribbean Sea. The lava was hot and when it came into contact with the cool seawater, it solidified into granite. As the rocks cooled, they also shrank, causing cracks to form. Over millions of years these blocks of stone spilled over to the surface of the earth, and there the rhythm of waves, jolt of earthquakes, and flow of water have told the passage of time on the rock faces. Most visitors experience the Baths when there is quite a crowd. Sandy, wet bodies wander along the trail to Devil’s Bay. Snorkelers bob amid the rocks. Children play in the sand, and the sounds of soca music reverberate from a beach bar. It’s a fun place but sometimes I like to cover my ears and imagine I am Martha Gellhorn, all alone with the stones and their long, long history. Travels with Myself and Another by Martha Gellhorn was first published in 1978 by Eland. A 2001 edition was published by Jeremy P. Tarcher/Putnam with an introduction by Bull Buford. 294 pages. koreanlab reblogged this on koreanlab.